Florida International University’s Biomedical Engineering (BME) Department is one of eleven in the State University System (SUS) of Florida with the full slate (BS, MS, PhD) of programs in biomedical engineering. The department is endowed with $11 million from the Wallace H. Coulter Foundation, the Ware Foundation and the State of Florida. One of the strengths of the growing BME department is its close relationship with FIU’s Herbert Wertheim College of Medicine, the Brain Institute at the Miami Children’s Hospital, and the many biomedical companies in South Florida. 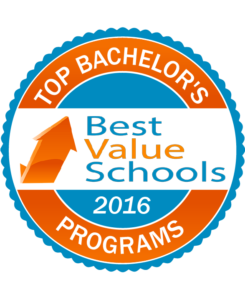 The department has also been recognized and ranked among the top 50 schools providing the best value to students. Very few biomedical engineering programs offer students a clinical rotation. Through our partnership with the premier clinical establishments in South Florida, our students are introduced to applications and real life situations associated with the use of medical devices and instruments in clinical medicine. As a national and international center for quality health care, South Florida is home to numerous hospitals and health care institutions offering partnership opportunities. The BME Department offers industry internships and entrepreneurship experiences to students enrolled in the programs. Students participate in real projects, enabling them to apply classroom lessons to project management and business plan development that deal with regulatory and legal issues specific to the biomedical industry.